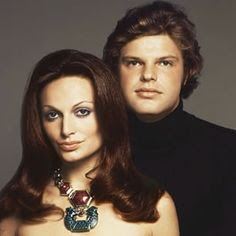 In 1969 he married fashion designer Diane Halfin, a Jewish Belgian-American whose mother was a Holocaust survivor. The marriage was opposed by Egon’s father, mostly for anti-Semitic reasons. Diane’s marriage to Prince Egon brought her a noble title and helped her fashion design business rise to international prominence. However, the couple became estranged and lived apart after 1972, just one year after their second child was born. In 1983 Prince Egon remarried, this time to an American, Lynn Marshall. That union was childless. 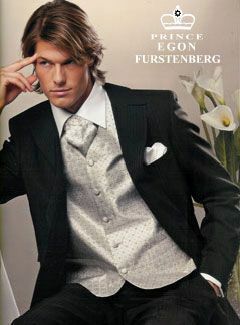 But during and between those marriages Prince Egon had many male partners. He was frank about his bisexuality and the openness of his first marriage. He even professed his bisexuality and drug abuse to New York magazine and the Italian daily La Repubblica. Many of his friends remember that among his favorite hangouts were the NYC gay bars Flamingo (for drugs – they had no liquor license at that time) and The Barefoot Boy – not to mention his legendary gay partying on Fire Island. Fürstenberg certainly didn’t need to work, but he was fascinated by the fashion world. 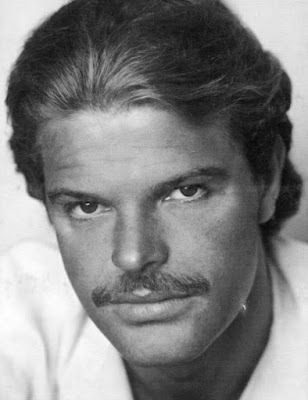 He later published two books on fashion and interior design: The Power Look (1978) and The Power Look at Home: Decorating for Men (1980). After a lowly start as a buyer for Macy’s department store and a designer of plus-size women’s clothing, he launched a successful men’s clothing line. Eventually he opened an interior design firm in New York City, but his career was forever in the shadow of his first wife. It was Diane, not he, who made the name “von Fürstenberg” a famous brand. Nevertheless, Diane and Egon remained life-long friends, and she gave him a professional push or two, helping to assure his success. His signature logo reflected noble blood and love for high society – a crown with a star (upper right in photo below). In 2004 he died in Rome at the age of 57, survived by his two children and both wives. There was a delay in revealing a cause of death, leading many to confirm what was known by his intimate friends, that his death was from AIDS. Later it was reported “officially” by his second wife that he had died from liver cancer. and model Pat Amari (right). Photographed by celebrity photographer Gary Bernstein. Egon was born with the proverbial silver spoon in his mouth. He was the son of Prince Tassilo zu Furstenberg and Clara Agnelli, the sister of Fiat mogul Gianni Agnelli. Egon was also a cousin of Princess Caroline of Monaco (b. 1957) and the King of Sweden, Carl XVI Gustaf (b. 1946). Although he was born in Switzerland, Egon grew up in a Venetian palazzo with a staff of 21 servants, one of the perks of having a mother with the last name Agnelli. In 1965, while studying economics at the University of Geneva, he met fellow student Diane Halfin, from a wealthy German family. After their marriage, they settled in New York City, where Diane started her dress business, and Egon abandoned a career in banking to attend classes in fashion design. The von Fürstenbergs were lionized for their trendy life-style and frank discussion of sexual escapades outside of marriage. They maintained a frantic social life and were among the revelers who participated in drug infused nights at Studio 54. 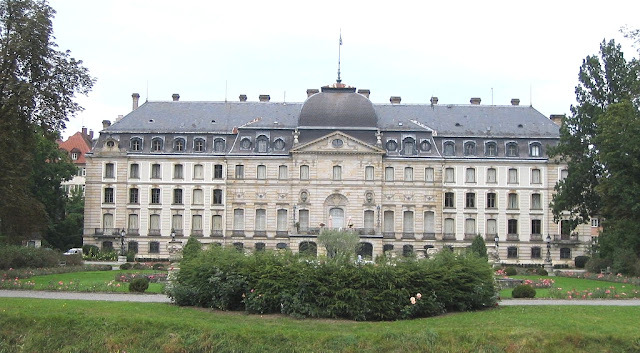 The Fürstenberg family first rose to prominence as a thirteenth-century noble house in southwestern Germany (Swabia), as part of the Holy Roman Empire. 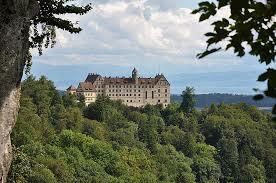 Their noble status was elevated to a princely house during the seventeenth century. Today there are two Fürstenberg ancestral residences: a magnificent Baroque palace in Donaueschingen (first image below) and a Renaissance palace in Heiligenberg (second image). *Note: A German noble with “zu” before the surname meant that the family still owned the hereditary feudal land holdings and residence, while many un-landed commoners who were subsequently ennobled simply placed a “von” before the surname. Thus, “zu” carried far greater prestige. I know, I’m always telling you more than you want to know. "I know, I’m always telling you more than you want to know." Speaking as only one admirer, Terry, what I learn from you is never enough! Your blog is a treasure. Thank you! Ditto... I love the side notes as much as the history... fills in .. Absolutely, fascinating reading. Job well done. agency *Wilhelmina* that would have been late 60's. I hung out with group of people ( all famous in their own right ) and Prince Egon was also in that group. He was known as the silly Prince, I went out with him a few times nothing serious and can well believe he had gay interludes. This was before he went back to Milano Italy to fetch Diana and marry her. So many memories and so many great times. Didn't know of his passing but the way Prince Egon could party wouldn't be surprised. I was a friend of Lynn Marshall (Furstenburg) in Atlanta. She hung out at “Backstreet “ the premier gay disco. This is where she met Egon. And “yes “ Egon was a part tier ! And was alot of fun. Lynn on the other hand was rather a quiet person and very laidback. She came from a prestigious family in Mississippi. Her uncle Ray was Secretary of Labor under President Carter. Egon came to Atlanta to promote one of his books. This is when he meet Lynn . Lynn was very Gay friendly. I should get in touch with her and talk about “ old times “ at Backstreet and always giving her a ride to her condo and helping her to the elevator because she was usually so lit she couldn’t make it on her own !! !